One hot trend, being used on home and commercial buildings to brighten up the interior spaces and bring the outdoors inside, is the use of expansive and movable glass walls. Your initial thoughts might picture a huge glass wall along one side of your home or business. While this could potentially be done, what others are doing is incorporating large sections of glass into sliding door rail systems. Sliding doors secured to track rail systems make it easy to open and close individual sections of the “glass wall.” Rather than using traditional sliding doors, where you only have one section of the door that can open and the other has to remain stationary, this new method of using overhead tracks makes it possible to have as many sections open and close as you desire. In addition, if you do not want to open all the sections, you can opt to keep them closed. However, it is worth noting, the design and setup will determine how the entire system operates and which sections you can open individually, as well as the ones you can keep closed. For example, one design configuration is to have the glass doors meet in the middle, with two different track systems on each side of the wall. On each side, you could have two or three glass door panels. When you want to open the doors, you could choose to open one side and slide all two or three panels fully open, or possibly decide to open both sides, and only slide the first panel on each section open. Another design configuration has the glass door panels slightly staggered along the track for a single track sliding door system, where it opens on one end and the panels are slid along the track toward the other end until it is entirely opened. With this configuration, you are free to open and close as many panels as you want but are limited based upon which side opens since the panels are on a single track system. Some people prefer folding glass door systems over sliding doors. 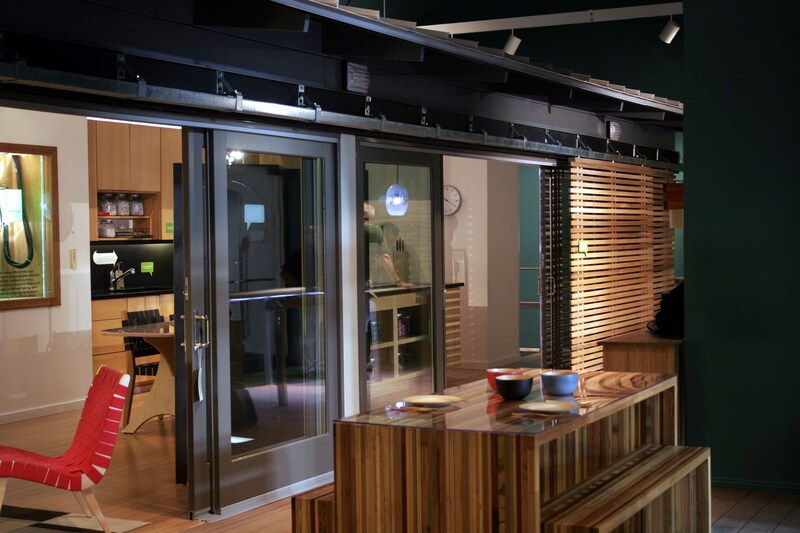 With a folding door system, each glass panel is typically secured to a door frame and connected together on each end with foldable hinges. The top and bottom of each panel are also secured to a sliding door track for ease of operation. The main difference between a sliding door and folding door system is that folding doors extend outward at the ends of the tracks when fully opened, rather than remaining flat. For configurations where you do not have room to push sliding doors into recessed openings at each end, folding doors allow you to have access to more open door space. 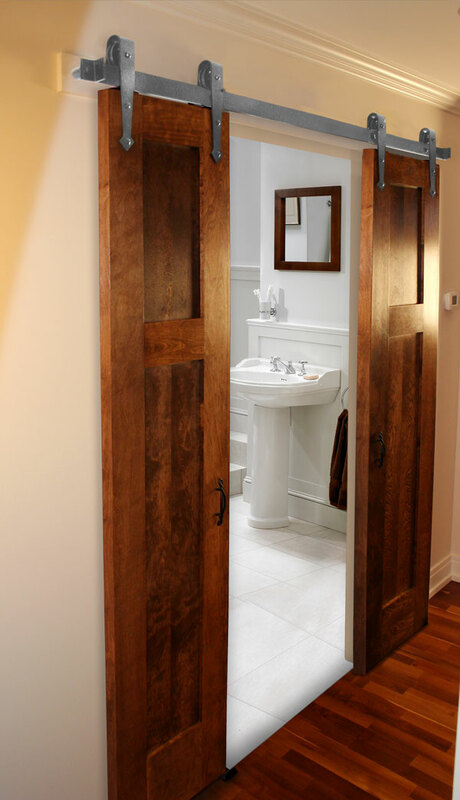 Both glass door configurations are wonderful alternatives to traditional doors for your home or business. Please feel free to contact RW Hardware at 800-253-5668 for assistance in selecting the right hardware for the door system you prefer.